Outdoor Cleaning Services | Pressure Washing | About US | Call Today or Book Online! We want your business and we want to earn it through quality workmanship, extraordinary customer service and value pricing for your Pressure Washing needs! Outdoor Cleaning Service is made up of a management team who aims to provide nothing but the best quality of work on any job we do. Using the latest technology and best equipment in the industry, we are able to do each outdoor cleaning job faster and to a higher standard than our competition - saving you time and money. Consolidate multiple vendors into one! Spend less time managing vendors and more on running your business. Do you have multiple locations that need exterior cleaning services? Great! We can service all of them. We give you consistent results without the need to have multiple vendors to cover multiple services and service areas. Now you have one number that replaces all of those other guys! Maintain your facility without giving up your time! Facility maintenance is often the first thing that gets overlooked and often causes unnecessary costs. Allow Outdoor Cleaning Service to service your facility on a preset schedule that meets your budget and keeps your building looking its best. We will work with you to create a service schedule that will meet your specific needs while giving you the peace of mind to know your investment will always look its best. 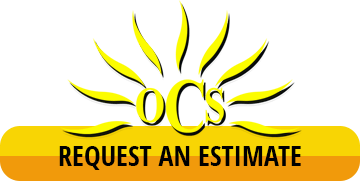 When you call OCS you will talk to the owner of the company directly. We don’t use answering services or secretaries to relay your message. We know that your time is valuable and we want to make our cleaning service as easy and enjoyable for you as possible. Our goal is to gain our business and keep it. By establishing a strong working relationship with our customers we are able to meet their specific needs and tailor a service plan that fits their situation. This devotion to detail has allowed us to retain our customers from the first day we opened our doors. All of the equipment we use to service our customers is industrial grade for performance and reliability. We also include backup equipment on every custom pressure cleaning rig to ensure the job gets done on time the first time. Contact us for a free estimate for your outdoor cleaning needs.